This month, U.S. Citizenship and Immigration Services announced that its “stateside waiver” program would go into effect on March 4, 2013. This program is simply a change in the way that Immigration processes certain visa applications. It is not a new green card or visa program, and it only affects a very limited group of immigrants. have a U.S. Citizen spouse, or are between the ages of 18 and 21, unmarried, and have a U.S. Citizen parent, or have an adult child who is a U.S. Citizen and also have either a parent or spouse who is either a U.S. Citizen or permanent resident. they have been in the U.S. for more than 180 days without any legal immigration status, and they were not inspected by U.S. immigration when they entered the U.S. It is important to note that immigrants who entered the U.S. under the visa waiver program will not benefit from this program, as they were inspected by U.S. immigration. As the law stands now, Immigrants who enter the U.S. without inspection are, in most cases, required to apply for their permanent residence by leaving the U.S. and applying at the consulate in their home country. Unfortunately, when they leave the U.S., a law goes into effect that prevents them from reentering the U.S. for either 3 or 10 years. This law has been called the “3 and 10 year bar.” Those who were in the U.S. unlawfully for more than 180 days but less than a year are subject to the 3 year bar. Those with unlawful presence of a year or more are subject to the 10 year bar. These immigrants must apply for a waiver of this law, like a pardon, in order to be allowed back to the U.S. sooner than 3 or 10 years. Up until now, immigrants had to apply for such waivers at their consular interview, after leaving the U.S. Then they would have to wait a long time, usually between 6 months and a year, before a decision was made. If the waiver was denied, the immigrant was stuck in their country for years. This new policy attempts to fix this situation by allowing these immigrants to apply for the waiver before they leave the U.S. for their consular interview. If all goes well, a provisional waiver is granted, the immigrant returns to her home country for a consular interview, and she quickly returns to the U.S. The risks of the program are yet to be seen. While all the immigrants applying through the stateside waiver program are out of status and subject to deportation, Immigration has stated that it will not attempt to deport people who apply for the program unless there is some other reason that they should be deported (such as criminal history, a prior deportation order, or fraud). It is less clear what will happen to those applicants whose stateside waiver is denied. As a final note, the stateside waiver program only applies to those immigrants who need a waiver for the 3 and 10 year bar. It is not available for other waivers (such as the waivers needed for fraud or criminal history). Additionally, those who entered the U.S. with inspection (with a visa or through the visa waiver program) and who have a U.S. Citizen spouse or adult child or are under 21, unmarried, and have a U.S parent, do not need this program. They can apply for permanent residence in the U.S. and do not need a waiver. 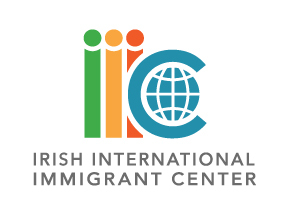 If you have questions about this or any other aspect of immigration law, visit one of IIIC’s weekly clinics advertised in the Emigrant for a free, confidential consultation. Disclaimer: This articles is published to inform generally, not to advise in individual cases. Areas of law are rapidly changing. US Department of Homeland Security and the US Department of State regularly amend regulations and alter processing and filing procedures. For legal advice seek the assistance of an IIIC immigration specialist or an immigration lawyer.